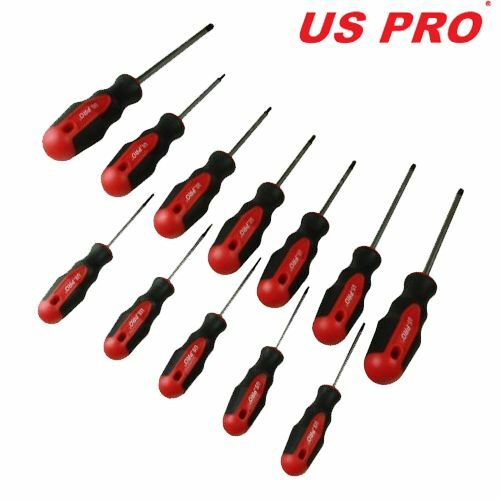 US Pro by Bergen Tools 7pc professional quality screwdriver set. 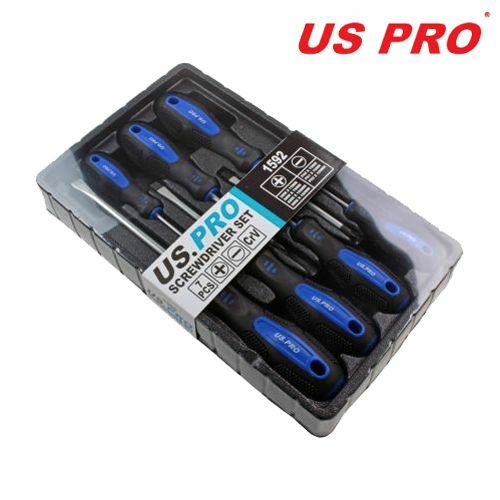 Made from Chrome Vanadium 6150 with fully heat treated black tips (magnetic) for increased strength and durability, PP and TPR handle. SL 3mm x 75mm (shaft size) - length including handle is approximately 155mm. SL 5mm x 75mm (shaft size) - length including handle is approximately 170mm. SL 6mm x 100mm (shaft size) - length including handle is approximately 210mm. SL 8mm x 150mm (shaft size) - length including handle is approximately 270mm. PH0 x 75mm (shaft size) - length including handle is approximately 155mm. PH1 x 75mm (shaft size) - length including handle is approximately 170mm. PH2 x 100mm (shaft size) - length including handle is approximately 210mm. 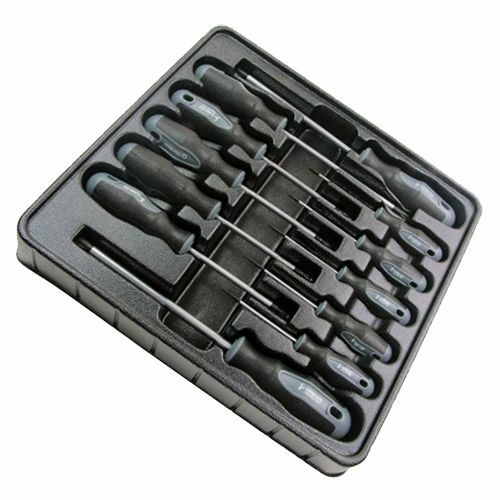 They are supplied in a very practical moulded plastic material storage tray which is ideal for putting in tool drawers, keeping your screwdrivers in one place with easy access when needed. The height of this tray is approximately 40mm. 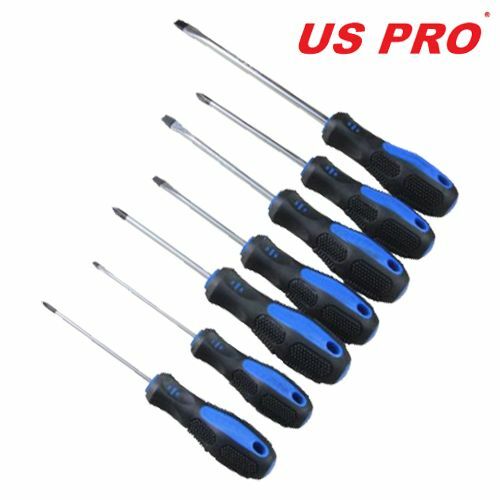 These screwdrivers are for professionals and serious DIY enthusiasts.